Touring Australia: The region surrounding the Australian Capital Territory is referred to as Capital Country. Canberra ACT. Places to Visit: At the historic township of Bowral in New South Wales you can visit the Bradman Museum & and the International Cricket Hall of Fame and the Gibbergunyah Reserve. The Bradman Museum is set next to Bradman Oval and at the International Cricket Hall of Fame there are displays and exhibits relating to the game and the greats of cricket, including touch screens, memorabilia and game footage from around the world. At Gibbergunyah Reserve you can get excellent views of the region from its heights and, with a bit of luck, you may be able to spot kangaroos and other native fauna, including wombats and echidnas. The reserve also protects plants and trees, including eucaplypts and the woody pear. The first inland city in Australia, Goulburn has lots of things to do, including sampling ale at the Old Goulburn Brewery, Australia’s oldest surviving brewery, visit the Rail Heritage Centre. You can also get grand views of the city and surrounds from the Rocky Hill Lookout and the War Memorial. In Yass Valley, check out the Binalong Motor Museum, the only purpose built motor museum in Australia or visit the Brindabella National Park for an alpine bush experience. Explore the colonial history of NSW by visiting the many small towns and villages. Nearby is Murrumbateman, with its boutique wineries (33 wineries at last count) with cool-climate wines to Mediterranean style wines. Young is the Cherry Capital of Australia, and in the surrounds you will find wineries, orchards and excellent chances to taste some of the finest produce and food in the country. 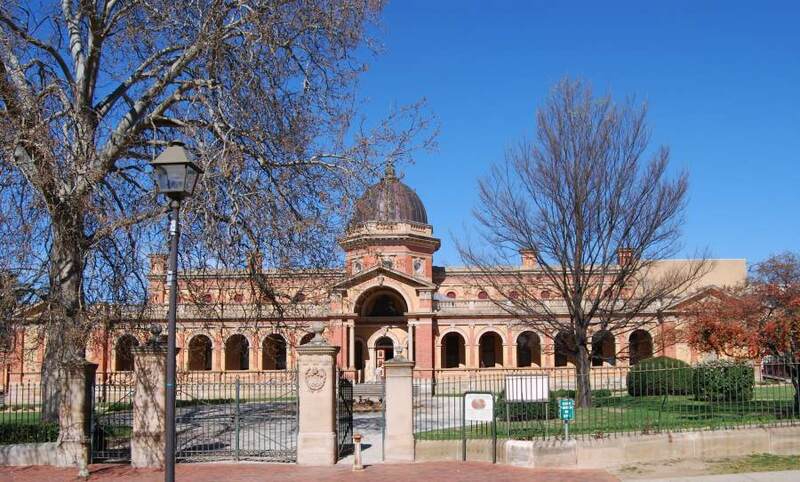 Heritage Towns to visit here include Boorowa, Cootamundra, Cowra, Harden & Murrumburrah. Heading South: The Monaro Hwy from Canberra takes you to Cooma, from where you can head to Melbourne Australia via the Cann River, or via the South Coast of NSW or via the Snowy Mountains to the west of Cooma. Routes - Heading south from Canberra: The Monaro Highway takes you from Canberra to the alpine region of the Snowy Mountains, or head east to the South Coast and then to Gippsland in Victoria for a diverse tour of Australia. Touring Australia: The Great Dividing Range follows the coastline southward from Queensland, through NSW all the way to Victoria. Dividing the East Coast of the country from the west, it makes for spectacular scenery. Along the way, Cooma is a pleasant stopover and has developed an interesting café culture and a number of excellent restaurants, within a few hours drive of stunning beaches or the snowfields. It is also a good place to check your tires, get fuel and stock up on provisions to head down to Victoria, or east to the south coast, or west for the Snowy Mountains. Enquire at the Cooma Visitors Information Centre about the many national parks, activities, things to do, camp sites and picnic areas, lakes, unique flora and fauna in the Snowy Mountains and on the South Coast. 119 Sharp Street, Cooma NSW. Phone +061 2 6450 1742. A car is the ideal way to explore this region, either via the Hume Highway from Sydney, Princes Highway along the coast, or the Snowy Mountains Highway, providing easy access to the other regions. There is a regular train service from Sydney to Canberra and from Melbourne to Canberra, the South Coast has numerous bus services available to any of the three cities. National Parks on the South Coast, the Gippsland and the Snowy Mountains provide ample opportunities for fun filled adventure discovery. Majestic mountain ranges with grand views. Rugged coastline interspersed with long idyllic beaches. Cool wet rainforests. Wild rivers. Peaceful lakes. Tour the NSW South Coast and surrounds for all this and more. Accommodation in Capital Country includes hotels, bed & breakfasts, caravan parks, serviced apartments, homesteads and other holiday lettings - just some of the many types of accommodation available here.